With the Curse of Strahd being released this March I thought it may be fun to make some Gothic horror type trinkets. As with Trinket Trove #1, these are not mere baubles and have more magical property. Therefore they could be used by any DM as treasure. I love thematic magic items and believe they really add flavor to any campaign play. This is especially true when some seemingly mundane item is found early on, than becomes helpful many levels later. Last year I also made a list of items I called Curious Goods that would work in a Ravenloft setting. Be sure to check them out! But for now here is a list of items that are ghoulishly different for those wide-eyed and hopeful Ravenloft characters. 01. A black parasol of delicate design which appears to be mostly decorative. However it makes the wielder invisible to those inflicted with lycanthropy when used under a full moon. This power does not mask sound or scent. 02. Dried out husk of a squirrel attached to a wooden rod with rusty nails. Once per day this necromantic fetish may animate any small dead creature of animal intelligence or less. The zombie animal will follow simple commands for one hour before crumbling to dust. 03. A set of old marbles that if played with causes the ghost of a small child to appear. The ghost will ask to play a game, 1d6 and on 1-3 the PC wins (or play marbles for real for added game session coolness). If the PC wins, the ghost will perform reconnaissance of any location within a mile and answer one question. May be used once per week. 04. Black lace veil which feels oddly cold to touch. If worn the user immediately senses this was placed on a corpse during a funeral. The owner of the veil will be subject to recurring nightmares but gain a +1 bonus to saves versus fear. 05. Disgusting occult book bound in stitched human ears. Once per day invoke the book to listen for any undead creatures that may be nearby. Undead within 100’ causes the book to flap its pages together loudly for three rounds. 06. Miniature wooden coffin which fits in the palm of the hand. Opens into an extradimensial space under a random graveyard large enough for two medium sized creatures. Those inside are beyond the reach of divination spells. Lasts one hour and may be used once per week. 07. A bottle of red wine which appears thick and viscous. Anyone drinking even the smallest sample will be cursed with hematophagy. This means they now only gain nourishment from fresh blood. Minor vampires will act indifferent to them if encountered. 08. A child’s doll which feels warm to touch and appears to be crafted from a patchwork of sinewy muscle. The doll is actually a minor flesh golem that is prodigiously strong and able to carry things. It cannot be used for combat and was designed for the sole purpose of being a pack mule. 09. An antique looking hair pin which is abnormally long. Upon closer examination a spider web motif is embossed upon the length of it. May be used as a weapon which does 1 point of damage and delivers a dose of poison which acts as a Sleep spell. May be used once per week. 10. A sleek corset which includes a patterned brocade of skulls. When worn it creates an exaggerated and curvaceous figure which grants advantage on charisma based checks. This feminine allure however comes at a price, as the corset halves constitution scores when worn. 11. 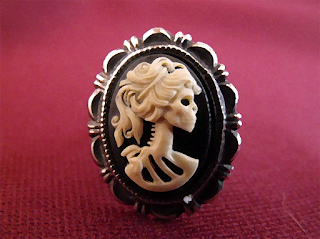 A cameo pin which includes a woman’s skeletal visage in relief. This objet d'art is actually a talisman which grants resistance to damage caused by the undead. The ablative properties of the talisman work once and then must be recharged by soaking in holy water for a full day. 12. A large iron key which appears to have come from a jailer’s ring. Once per day, when placed near a locked door it becomes ghostly in appearance and alters to fit. The key then works as a Knock spell but takes a potential toll on its owner. Succeed on a DC 10 Constitution saving throw or be paralyzed for 1 minute. 13. A beautiful set of gold filigree Tarokka cards inside a velum lined box. This deck once belonged to a Vistani gypsy who fell afoul of darkness. Using the deck will summon their ghost which is combative (1-50%) or helpful (51-00%). If combative it will attack for one round and vanish. If helpful it will answer one question as an Augury spell and vanish. Ghost appears once per week. 14. Trapped inside a small glass bottle is an undead faerie. The creature snarls and scratches at the glass as its bat-like wings flap. If released for any reason it will fly away immediately. Otherwise the owner of the bottle may call upon the faerie to cast Light or Darkness as spell, once per day. 15. An ornate wooden box containing two weathered dueling pistols. These single shot, flintlock weapons will animate and attack anything the owner commands. Fired by the ghosts of two men who died dueling, the haunted pistols critical on a 17-20, and may be used once a week. 16. A leather satchel of 2d6 ancient grave rose seeds. If planted in soil they immediately sprout ash colored perennials. These have the unique ability of attracting undead with a 50’ radius. They must make a DC 10 Wisdom saving throw or spend one round attacking the grave rose. 17. A miniature Ouija Board which is very detailed and perhaps was full size at one time. 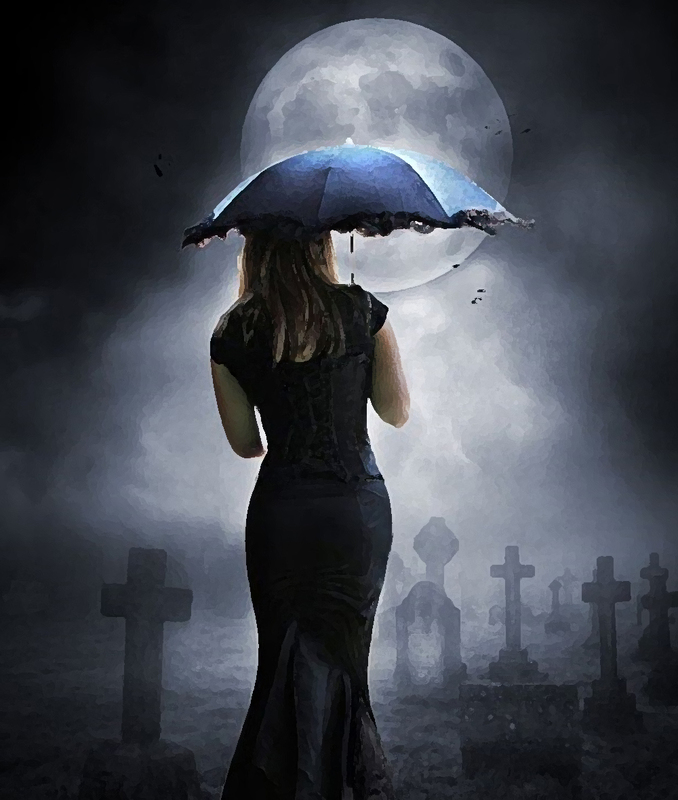 Tormented spirits will seek the owner out anywhere a traumatic death took place. Not realizing they are dead, the spirits are confused and ask for help. The Ouija Board also has the ability to cast Speak with Dead once per week. 18. The shrunken head of a zombie which still occasionally snaps its teeth together and moans. While in possession of this morbid fetish the owner gains Undead Fortitude. If damage reduces the PC to 0 hit points, make a Constitution saving throw with a DC of 5 + the damage taken, unless the damage is radiant or from a critical hit. On a success, the PC drops to 1 hit point instead. This benefit may be attempted once per week. 19. A human skull which has been magically altered into a mortar and pestle. If used in conjunction with a Healer’s Kit to crush ingredients they will become enchanted. The resulting paste will heal 2d4 + 2 hit points and requires an action to administer. There is a cumulative 10% chance per use that the skull will crumble to dust forever. 20. A small hourglass necklace which has been crafted from pure silver. These rare trinkets were developed as wards against lycanthropy. 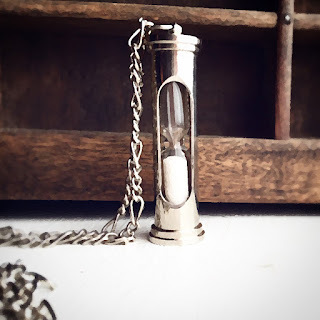 If bitten by a lycanthrope the hourglass will crack spilling out its time altering sands. Gain advantage on all saving throws versus lycanthropy for one hour.